Throughout our blogging experience in reviewing educational mobile apps and web tools, we come to compile and arrange what we believe are the best apps to use for a variety of educational purposes. In today's post we are sharing with you an example of such collections. 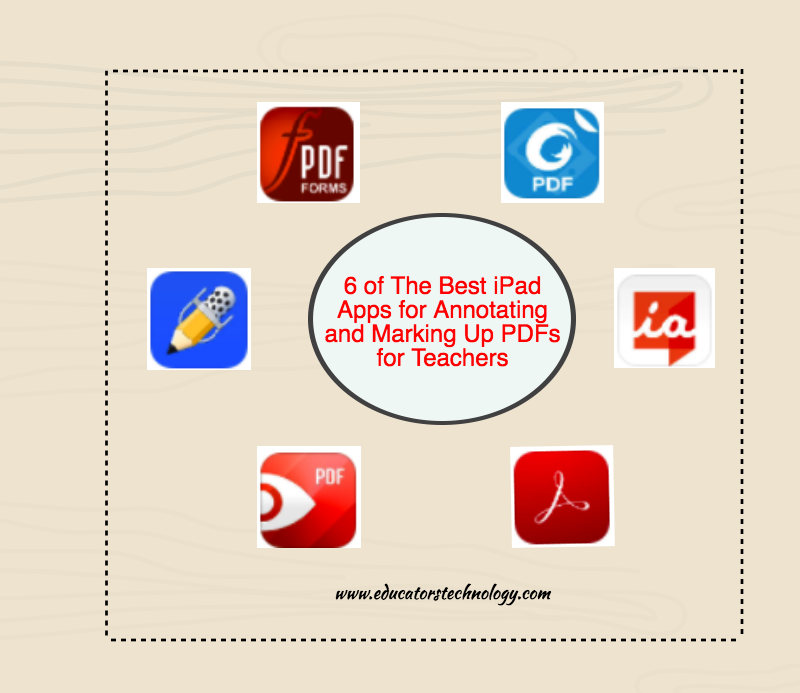 This is a selection of our top six iPad apps for annotating and marking up PDFs. As a teacher, you can use these apps to help you: annotate PDFs; sign, fill in and merge PDFs; mark up text using highlights and handwriting; add comments and notes to PDFs; scan and convert images to PDFs and many more. This is one the most popular PDF apps out there. Besides reading PDFs, Adobe Acrobat also allows you to annotate and sign PDFs. Other features it offers include: add comments to PDFs using sticky notes and drawing tools, highlight and mark-up text with annotation tools, convert pictures taken by your phone’s camera into PDFs, scan several document pages into a single PDF and many more.